When Groups of Uses are bound to the JumpCloud LDAP Directory, LDAP groups will be created. For more information about JumpCloud Groups, see Getting Started: Groups. 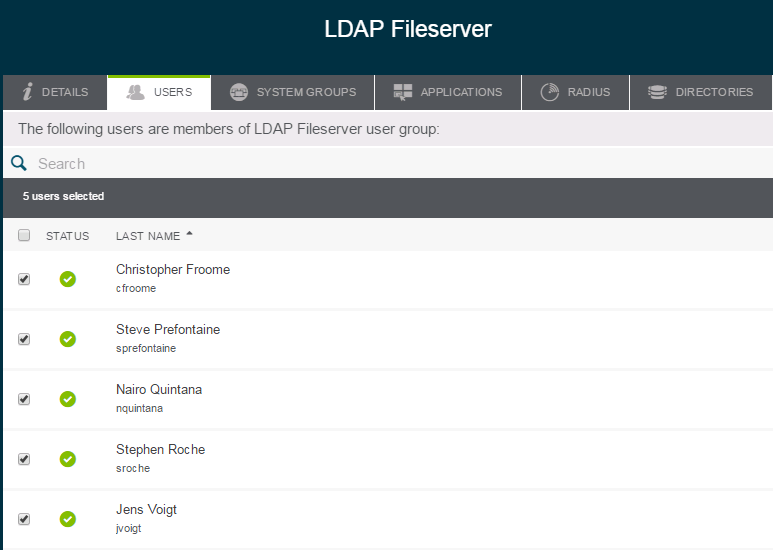 Note: Groups will not be created in LDAP unless the group contains individual members. Create a new group. The group Name will correspond to its cn in groupOfNames. - (Optional) Create a Linux group name and GID, this will correspond with the cn in the posixGroup objectClass. Linux group names are case sensitive. NOTE: Some LDAP enabled resources require this option for LDAP group presentation. - (Optional) Enable Samba Authentication. 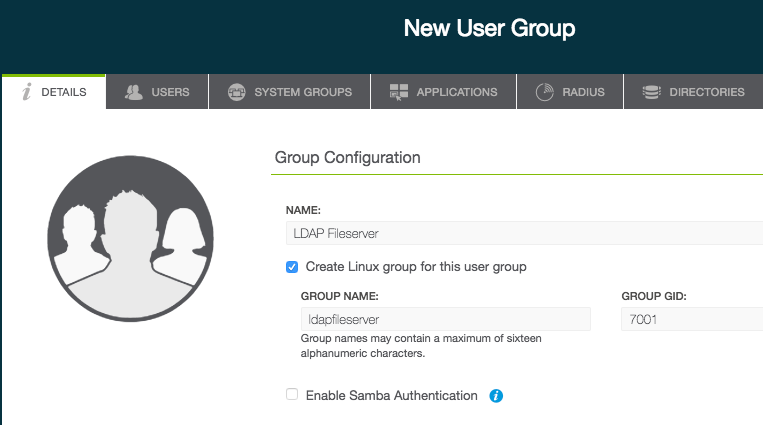 See Enabling Samba with JumpCloud LDAP for more information.